Throughout the negotiations between US Secretary of State John Kerry and Russian Foreign Minister Sergey Lavrov, there was agreement that ISIS (the US Government calls it ‘ISIL’) has no place there, and must continue to be bombed and attacked without interruption until exterminated; but Kerry opposed Lavrov’s demand to include al-Nusra’s (al-Qaeda’s) forces as also having no rightful place in Syria. Kerry finally accepted that al-Nusra should have no part in ruling Syria, and thus he reluctantly acceded to Russia’s demand. This agreement by Kerry enabled the peace talks to begin. These talks broke down on April 18th because Al-Nusra was facing imminent defeat in the key city of Aleppo, and because such a defeat was unacceptable to Mohammed Alloush, the Saudi agent, and head of the Saudi-Wahhabist group, the Army of Islam. 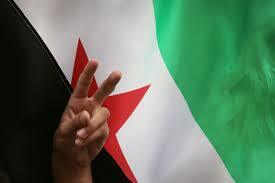 He was selected by King Saud to lead the rebel side at Syria’s peace negotiations. “There was ‘no way’ the opposition could resume formal talks amid a military escalation and a worsening humanitarian situation”, senior opposition negotiator Mohammed Alloush told Reuters on April 18th. Mohammed Alloush is allegedly a cousin of the recently deceased founder of the Army of Islam, Mohammed Zahran Alloush, who was called simply “Zahran Allous”. Mohammed Alloush now runs it. 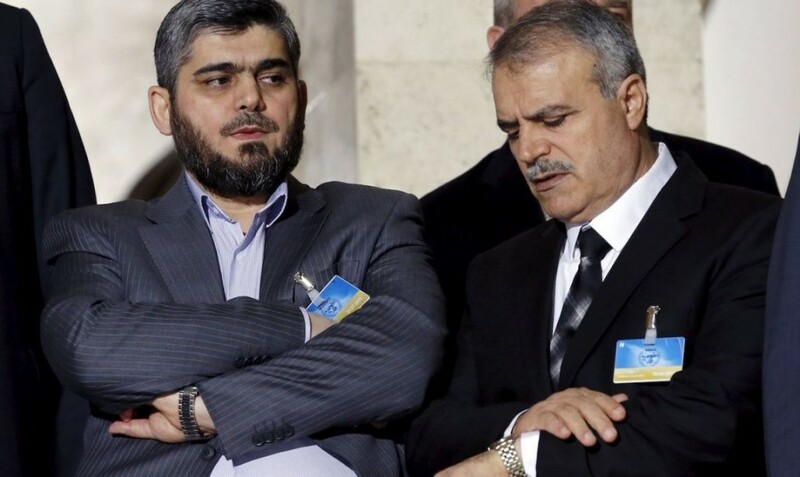 The fathers of Zahran and Mohammed were allegedly brothers, and their father, Sheikh Abdullah Mohammed Alloush, had immigrated to Syria from Saudi Arabia, and he led the growing Saudi Wahhabist, fundamentalist Sunni, community, in the Damascus suburb of Ghouta, which is the place where the 21 August 2013 sarin gas attack that US President Barack Obama has used as his excuse to invade Syria took place. Zahran Alloush had actually helped US President Obama, and Turkey’s President Erdogan, and King Saud, and Qatar’s Emir Thani, to plan and to carry out that sarin attack, so as to blame it on Assad, in order that the US President would then be enabled to mobilize public opinion in the US to invade Syria and overthrow Assad – which is what they want; but, after this fraud started to become exposed, Obama temporarily backed down – and, yet, Saud, Thani, and Erdogan (all fundamentalist Sunnis allied with the US), remained determined to overthrow the secular Shiite Assad (who allies with Russia and with Shiite Iran). The Sauds have the attitude that unless all Shiites die, the Sauds will die, that it’s an “existential” matter for them. And the American Government backs their war against Shia.